Since the first auspicious 3 day Chod retreat in October 2010, Ven. Rangrig Rinpoche has blessed our evolving Sangha to receive precious transmissions and promoted the Dharma with utmost skill through his clear, compassionate wisdom and supremely patient presence. 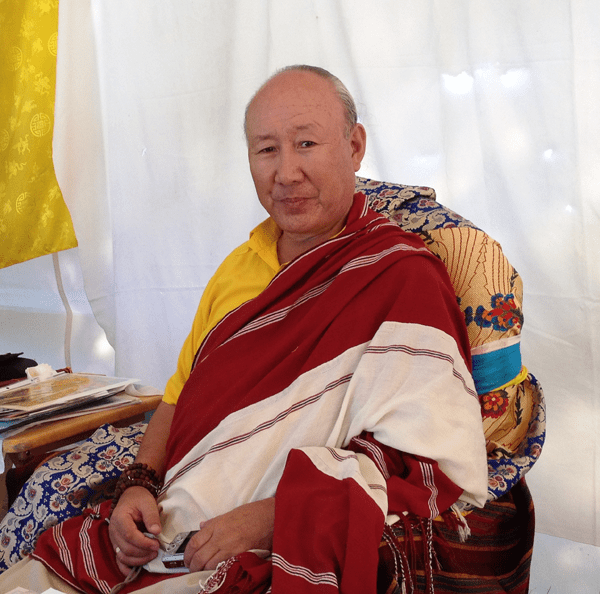 Over the past two and one half years to our tremendous gratitude, Rinpoche has taught classes in basic Tibetan language and grammar, completed lung and wang/empowerments during practice days and several retreats for foundational practices in Dudjom Tersar Throma Toeluk Sadhana, Dudjom Tersar Chod “The Four Feasts”, as well as Ogyen Khandro Norhla Jambhala including Tso Kye Tuk Tig Sadhana and Urgyen Norhla “Gentle Rain of Every Wish”.